Girl Scouts bring holiday cheer to Somerford Place! A Girl Scout can make all the difference in the world – one person at a time. Girl Scouts of all ages participated in a Holiday Slumber Party at the historic Burrage Mansion in Redlands on December 13-14. But the festivities included more than baking and decorating holiday cookies; more than crafts; and more than movies, popcorn, pizza and good, old fashioned fun. The Girl Scouts also dedicated their evening to bringing lots of holiday cheer to the residents of Somerford Place! 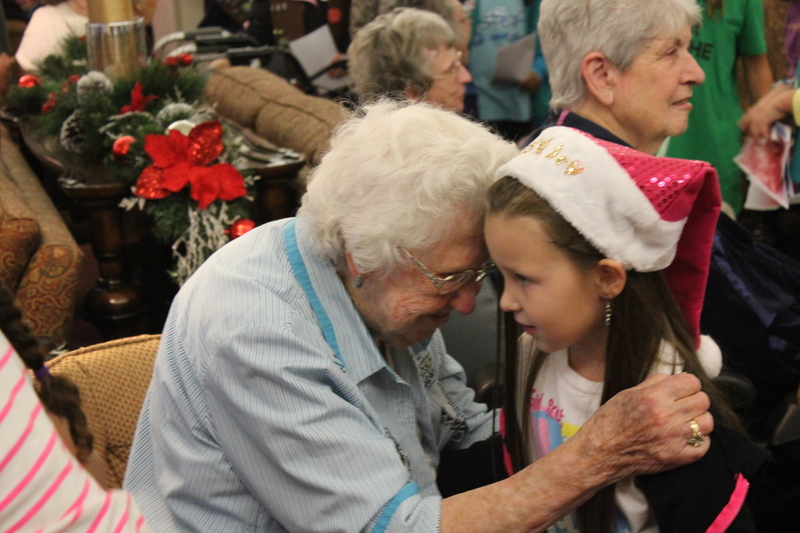 The girls visited the residential home to sing Christmas carols and deliver the fresh-baked cookies. Needless to say, smiles abounded on the faces of both the girls and their very grateful recipients. GSSGC hopes with the great success of our Holiday Slumber Party we will be able to continue the tradition next year and for many more years to come! View more of our photos here! Next Next post: We’re on KVCR!